Ginger Adams Otis’s history of the movement to diversify the FDNY is sure to be grumbled about by wide swaths of the active and retired firefighting force. “Firefight: The Century-Long Battle to Integrate New York’s Bravest,” though thoroughly sourced, flows more like a novel, one that leads readers on a vivid tour of more than 100 years of history. Published by Palgrave Mc­Millan, it chronicles a core group of black firefighters’ determination to bring more people of color into the department, in an era when the NYPD’s ranks increasingly reflected the ethnic makeup of the city while the firefighting force remained roughly 90 percent white. As recently as 2012, that force was still just 3 percent black. The crusaders, led initially by Capt. 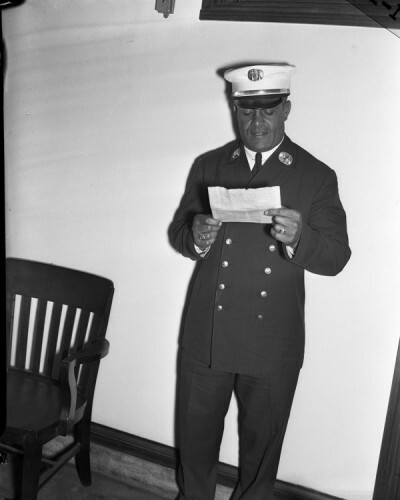 Paul Washington, then the president of the Vulcan Society of Black Firefighters, and Lieut. Michael Marshall, his second-in-command, stubbornly persisted through years of frustrating setbacks. Ms. Otis recounts how the city under then-Mayor Mi­chael Bloomberg resisted several warnings by local and Federal equal-employment offices to allow outside oversight of its written firefighter exam, which had been weeding out far more blacks and Latinos than whites. As early as the 1990s, the Fire Commissioner and the Department of Citywide Administrative Services (DCAS), which administers civil-service tests, were warn­ed that aspects of their recruiting program and grading system, respectively, were hurting minority numbers. The Vulcans’ efforts raised hackles among hundreds of their FDNY brethren, who charged that their challen­ges to the firefighter entry exam were leading fire officials to weaken the merit system and “dumb down” the department. Those readers won’t like Ms. Otis’s characterization that the previous system, ostensibly one that was meticulously merit-based, wasn’t so fair after all. Ms. Otis combed primary sources to back up her account, providing a convincing narrative that in the tight-knit department, tradition, cost-cutting and inertia often took precedence over a meaningful effort to diversify. Despite repeated warnings, the city throughout the 1990s and early 2000s never hired an outside expert to get the written entrance exam validated, to determine through a scientific study whether its provisions actually measured job-related skills. Such validation is required under Federal discrimination law. The city’s Equal Employment Practices Commission also made little headway despite prodding the department that it was­n’t doing enough to improve diversity. Ms. Otis also found that background checks, in the era before the Vulcans prompted a Federal discrimination suit against the city in 2007, were a mysterious process with little to no oversight. The department performs the character reviews for can­didates with blemishes on their records, including arrest histories. The process was shown in the late 1990s to weed out a higher percentage of blacks than whites. The PRB, made up of top uniformed officials and human-resources staff, kept no minutes of its meetings and wrote no memos outlining its decisions, Ms. Otis noted. It didn’t even have to give those it rejected a reason for its decision. An appeals court later tossed the intentional-discrimination finding, calling Mr. Garaufis biased, but new Mayor Bill de Blasio in spring 2014 settled the case for $98 million in back pay to some black and Latino candidates. Though the Vulcans’ frustration with Mr. Bloomberg and other officials is palpable in “Firefight,” Ms. Otis resisted the urge to demonize various players who made missteps or dragged their heels over the years. The blame for the slow pace of integration is spread fairly, and credit is also given where it’s due. She recounted the Fire Department’s perpetual insistence to the Equal Employment Practices Commission that it would have to ask the Department of Citywide Administrative Services about any test-related questions, despite warnings that the FDNY was ultimately responsible for its own compliance. But she also chronicled DCAS’s handling of the 2007 Firefighter exam, deemed disastrous by many fire officials and candidates. The author also noted initiatives by the FDNY to step up its efforts. She recalled a fire official’s attempt in 2002 to determine if DCAS had vetted its exam, and she no­ted that the department doub­led its funding for recruitment before the 2007 exam, after securing a $1.2-million boost from then-City Comptroller Bill Thompson. Before the test, it also hired Michelle Maglione, an effective new head of recruitment with strong grassroots experience. Much of that history had been reported already in piecemeal in the newspapers, some of it by Ms. Otis herself as a reporter at THE CHIEF-LEADER and later at the New York Post and currently, the Daily News. In plowing through reams of documents and interviewing the players, however, she uncovered the types of details that enlivened the story. We get vivid accounts of the Vulcans’ meetings with Mayor Bloomberg and other key figures; of a tense deposition by Mr. Bloomberg and of the tactics that pushed the activists’ fight along. 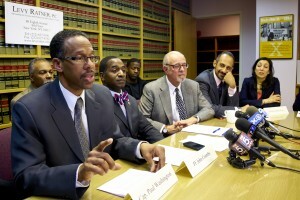 Mr. Washington and Mr. Marshall balanced their goal of gaining media attention with protecting the jobs, privacy and sanity of black firefighters working in all-white firehouses. We follow along as they gain their footing, figuring when to goose the Mayor with a surprise press conference and when to propose a conciliatory meeting. Ms. Otis also presents a vivid account of a much-earlier era, through the intermittent tale of legendary Fire Captain Wesley Wil­liams. The third paid black firefighter in FDNY history, Mr. Williams entered the force in 1919, quickly accumulated an array of daring rescues, rose to command white firefighters—an unheard-of occurrence in those days—and went on to found the Vulcan Society of Black Firefighters in 1941. Shortly after, he helped establish the Uni­form­ed Fire Officers Association. 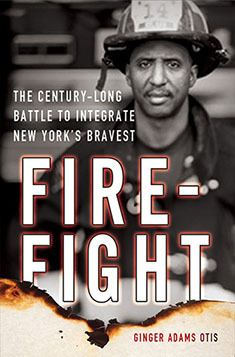 “Firefight” skillfully uses Mr. Williams’s tale to illustrate key aspects of the FDNY’s origins that remain­ed relevant decades later when the new group of Vulcans began pushing for great­er diversity. Capt. Wesley Williams, sole colored officer in New York City’s Fire Department, at Municipal Building yesterday, after being promoted to battalion chief. The department officially went professional in 1865, long before the city began giving civil-service tests in 1894. But for decades, the Tammany Hall mentality continued to play a role in hiring. Ms. Adams recounts that the department’s highest officers were beholden to the Democratic bosses who ran city politics, even as late as the 1920s. One quirk of the city’s civil-service system—the one-in-three rule—helped Tammany Hall forge that detour around merit-based hiring. It allows agencies to hire just one of every three candidates from a civil-service list. If a candidate is passed up three times, his name is dropped from the list, though he can petition to be restored. The rule is still in place today, and was a concern for the Vulcans when advocating for black candidates weeded out during background checks, when they knew of white candidates with similar transgressions who had been allowed to slide by. But the book’s detailed portrayal of the era just coming to a close should give Vulcan supporters and critics enough fodder for debate for months to come. FDNY Mandates Diversity Training: Will It Include Real Info on Vulcans’ Lawsuit?